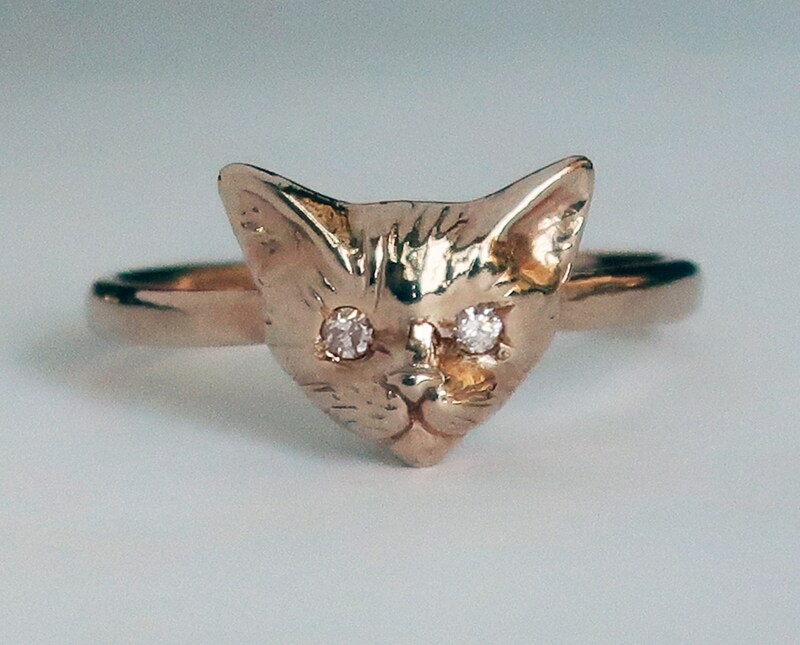 Solid 10k Rose Gold Kitty Cat Ring with 1.5mm VS1 white diamond eyes. 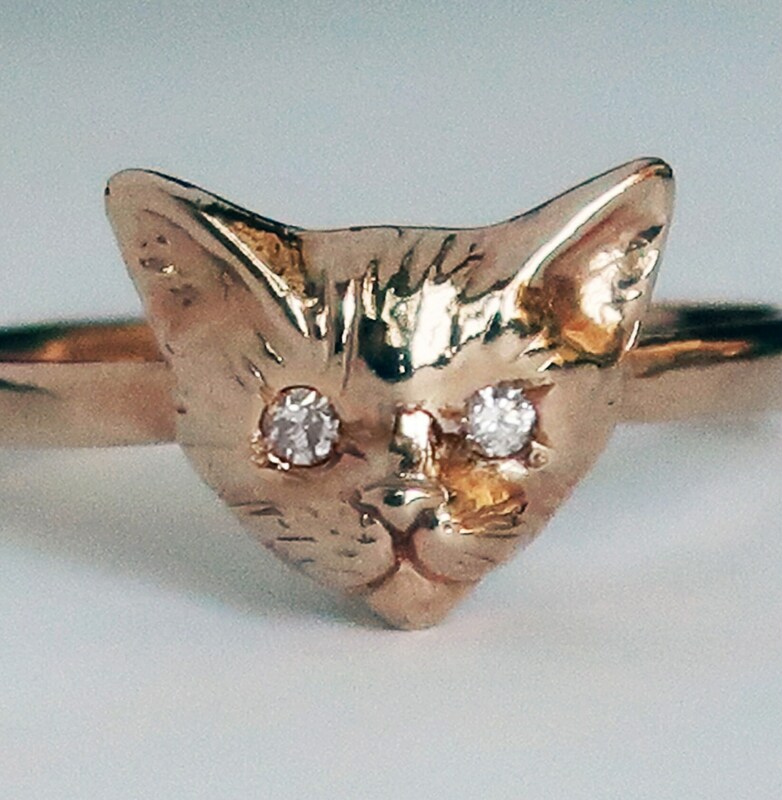 This ring can also be made in higher karats of gold, in white gold, with black diamond eyes and/or with white CZ eyes. Please contact me if you are interested in these other options. Please also contact me if you need a larger custom size. Well made, so cute! You made someone sooooo happy!